Welcome to Marine Signs, a friendly and well-established company based near the water in Poole, Dorset. Our many years experience of custom boat sign design make us the ideal partner for you if you are looking for a new custom boat name or boat sign, please have a look around our website, view our yacht signage FAQs, look at our gallery of marine signs and range of boat name finishes or call us on 01202 777772. 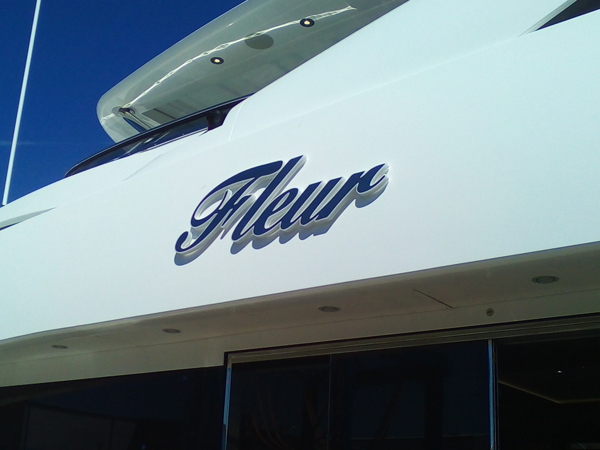 Whether working from your own yacht name or creating a totally unique custom design for you - with our direction & expertise, we can make your sign stand out from the rest! Whether a boat builder or a proud yacht owner we can offer a complete in-house service from design/manufacture through to installation. 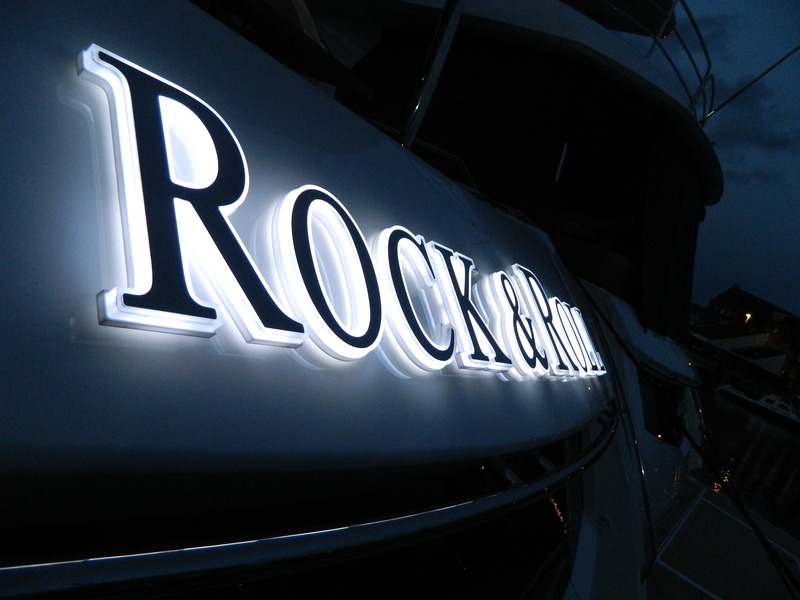 With a huge resource of materials and technology available to us, combined with a wealth of innovation and expertise, our in-house design team will work with you to produce a unique yacht sign of the highest quality that will transform and enhance the look and ambience on board your boat. We have a fully qualified team of in-house installation specialists & electricians who will travel globally to install your signage. Alternatively, if you would prefer to install your sign yourself we will provide you with easy to follow, full fitting instructions & templates. Start designing your sign now! We offer a handmade, unique product, made individually for each client to endure the harshest of marine environments. 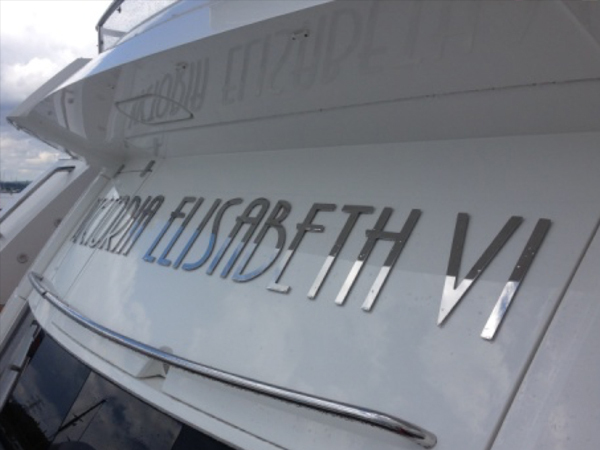 Normally a requirement for the larger vessel, your yacht name can be crafted in many forms, from individual lettering to a sophisticated plaque design. Ideal for signage where space is limited. 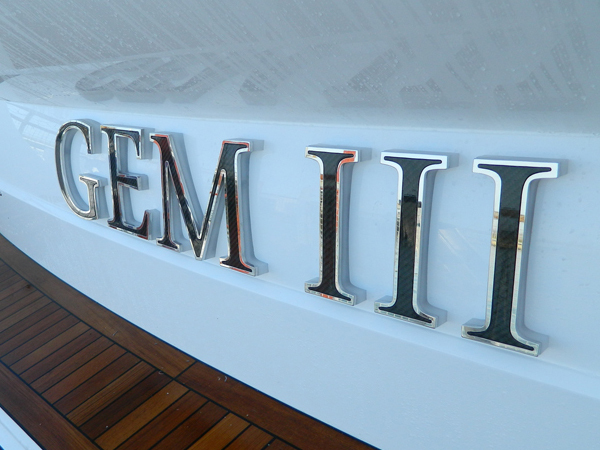 Compliment your yacht name with a beautifully crafted yacht plaque. 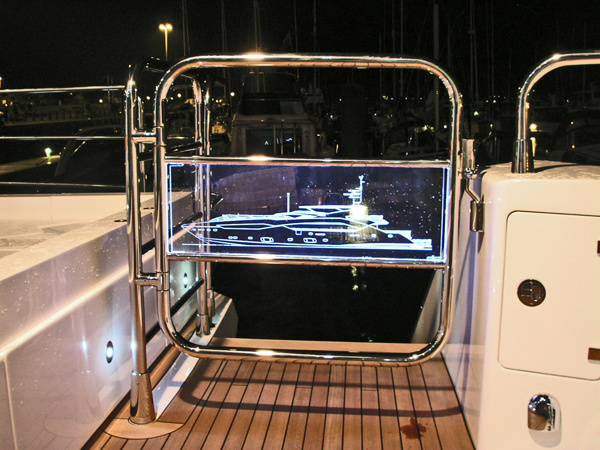 Backlit or non-backlit, we offer a wide choice of marine grade materials and bespoke designs. 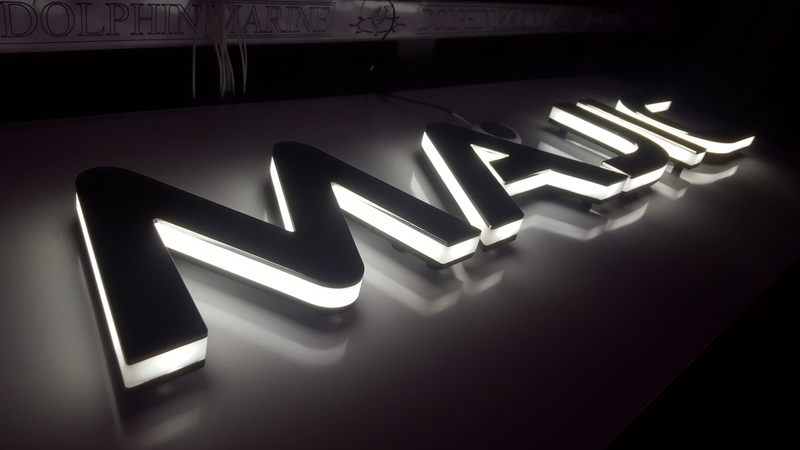 As well as yacht signage, Marine Signs have a wealth of experience in creating a wide range of products. No matter the complexity of the design, we will help you to create a visual identity with a unique yacht enhancing logo. We offer a wide range of finishes & materials as well as creative lighting solutions - from wood to hydro-dipped, carbon fibre to mirror polished & brushed stainless. The options are endless! We only use the highest-grade Marine Stainless Steel 316, chemically cleaned to prevent corrosion & all polished by hand. Yacht Sign upgrades refurbishments & repairs. 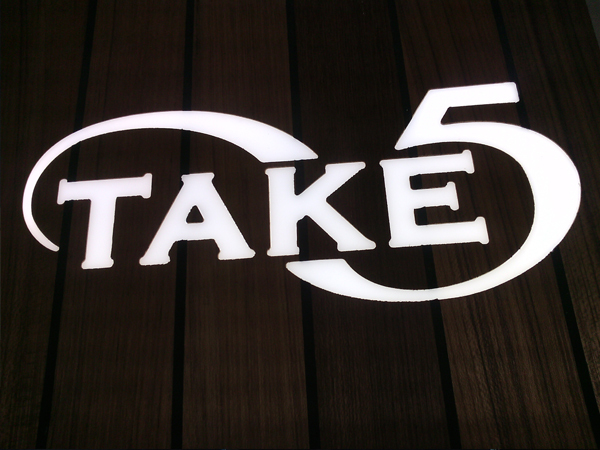 Our experience & expertise will leave your sign looking as good as new! We have built a wide range of bespoke marine furniture for our customers. 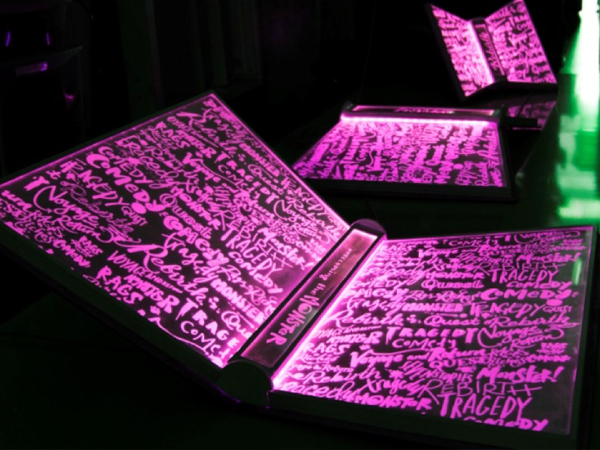 Tell us your ideas and we can bring them to life! 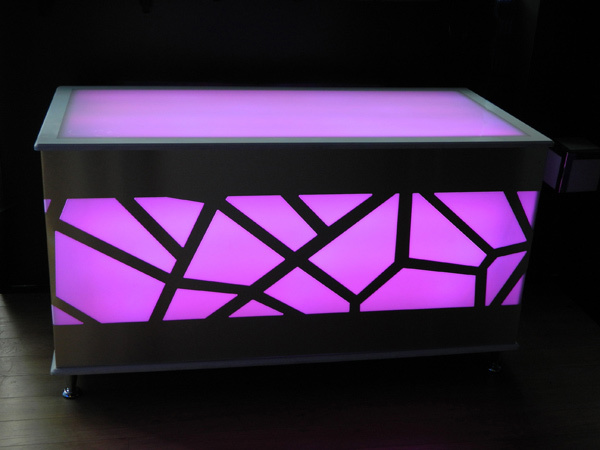 Add illumination for that wow factor. Satellite dome rings, illuminated handrails, Jacuzzi lights, inlaid teak deck floor lights, custom step lights and more. Have a special project in mind? 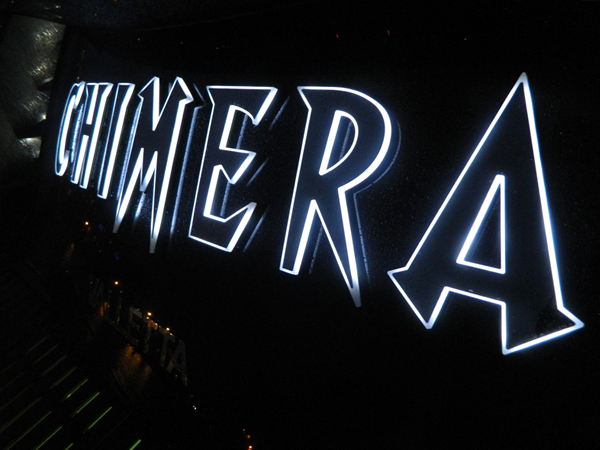 Maybe you don’t have a yacht but want a quality Marine Grade Sign? We can do that too!